Noch 4 Tage dauert es bis die Blizzard eigene Eventshow seine Pfoten öffnet, um uns mit den neusten News aus dem Blizzarduniversum zu versorgen. Bereits im Vorfeld sind ja schon ein paar News zum nächsten WoW-Addon, was den Namen Cataclysm tragen wird, bekannt geworden. Allerdings reißt mich das bereits bekannte nicht gerade vom Hocker. Es wird keinen neun Kontinent geben, vielmehr werden in den alten Gebieten Zonen verwendet, die bis dato noch verschlossen waren, bzw. bekannte Zonen werden durch Phasing verändert. Dieses mal werden nur 5 Level zum Level-Cap hinzugefügt und nicht wie in den letzten beiden Addons 10. 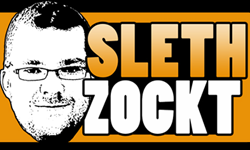 Sprich bei 85 ist dann schon wieder Schluss mit leveln. Am schlimmsten finde ich jedoch die neuen Rassen und Klassen Kombinationen, die freigeschaltet werden. So dürfen wir dann Tauren Paladine oder Troll Druiden erwarten. Zwei neue Rassen werden hinzukommen, die Worgen bei der Allianz, die Goblins bei der Horde. Neue Heldenklassen wird es dieses Addon nicht geben. Insgesamt hört sich das ganze recht schwach auf der Brust an. War ich von den ersten beiden Addons recht begeistert, weiß ich nicht, ob mich Cataclysm noch mal hinter dem Ofen hervor locken kann. Bleibt zu hoffen, dass auf der BlizzCon weitere News zu Diablo 3, Starcraft 2 und dem noch unbekannten neuen MMO von Blizzard bekannt gegeben werden. The level cap in the next expansion will be slightly lower than expected this time around; 85 . Leveling from 80-85 should be a much bigger deal, the idea is to make sure that gaining a level really means something and doesn’t make you feel like you just have 4 more levels to go. quest and it’s new Night Elf counter-part help to introduce the lore for these new race and class combinations, so we can probably expect to see more of these for some of the less traditional ones. Deathwing once again sought the services of the goblins, as slaves. Unable to refuse such an offer, the goblins were enslaved by him. A large group have resisted however. With their previous homes devastated by the cataclysm, they escaping to an island off the coast of The Barrens. As they strive to recover, they come across an Orc captured on an Alliance ship and rescue him. The Orc turns out to be none other than Thrall himself, and in return offers the Goblins a place within the Horde. These events are carried out in a quest line, allowing players to experience first-hand the reasons behind the Goblins‘ shift from neutrality. Some of the zones like the Thousand Needles will be flooded. Durotar is wrecked and apparently Orgrimmar could be destroyed. A new Orc city is rebuilt over the course of the expansion. Wailing Caverns will be become a lush tropical area as a result of the druid’s magic. The Blackrock Spire will erupt and a new version of Blackrock Mountains will be available, apparently Ragnaros will be back too. Redesigning Onyxia’s Lair in Patch 3.2.2 was just the first step. As most of the leveling will take place in revamped areas of Azeroth, so too will the dungeons, allowing players to use them to level from 80 to 85. Gilneas – The Worgen starting Zone. It is unclear if the old Goblin locations such as Kezan and Undermine will be included in Cataclyms with the revelation of the goblins‘ plight, but several new islands have also been risen from the seas by the events of Cataclysm, some on the backs of giant sea turtles and whales, with the addition of several underwater zones. , he again retreated to Grim Batol and succeeded where she failed. With his results seen in the Obsidian Sanctum, he has finally created the supreme Dragonflight he sought and plans to unleash it upon the world. But what of the Old Gods‘ sway over him? will also play a major part in Cataclysm. Unknown to many mortal races, long forgotten by others, and believe to be dead by her own kind, she has not been dormant in depths of the Maelstrom. Having those around her transformed by the Old Gods into Naga after her failure in the War of the Ancients, she has become far more powerful and a greater threat than she once was. Not content with just Nazjatar and the depths of the sea, Azshara seeks to reclaim power and reign once again. With the true plan behind Lady Vashj’s support of Illidan remaining a mystery we do not know what hand Azshara has yet played. The big question remains, is she now serving her "saviors", the Old Gods? I’m still not sure who is the true end boss of Cataclysm is, but the cataclysm appears to have been caused by attempts to incantation to summon extremely powerful beings using an ancient incantation by Deathwing and Azshara. They’re both very powerful, but the cataclysm itself suggests something more powerful is behind it, perhaps their shared past of Old God influence? role in these events is currently unknown. Thrall will hand over the leadership of the Horde to Garrosh Hellscream, while he serves as a coordinator for both the Horde and Alliance forces in and effort to combat the new threat of the Naga and Black Dragonflight. Without Thrall to keep Garrosh in check, he declares open war on the Alliance. In the political upheaval Cairne Bloodhoof is implicated as a traitor to the Horde and murdered by Garrosh. Cairne’s son Baine takes over as the new Tauren chieftan. This could explain why Baine was removed from the game in Patch 3.2.2, you can find more information about this in Ahmo Thunderhorn – replacement for Baine Bloodhoof?